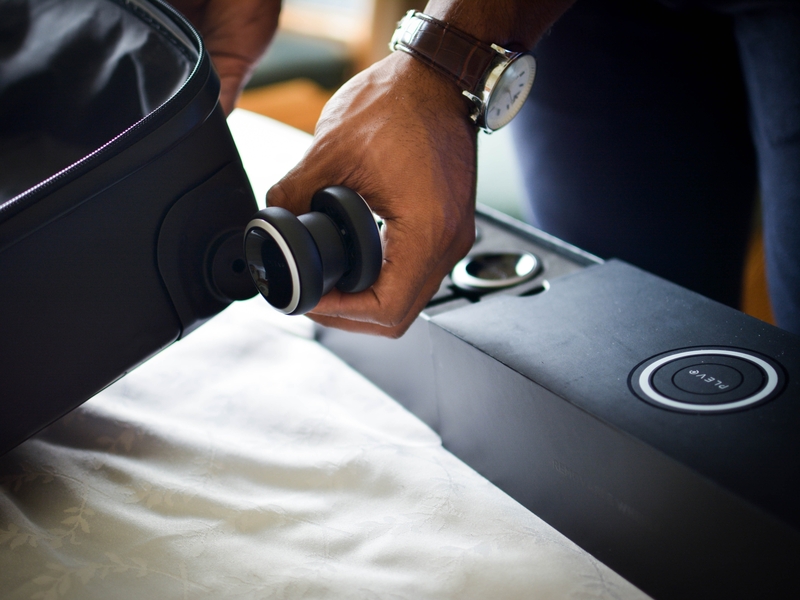 Plevo is a smart luggage system, loaded with tech features, but we also designed it to solve one of the biggest problems we all face when traveling – keeping your garments wrinkle-free. 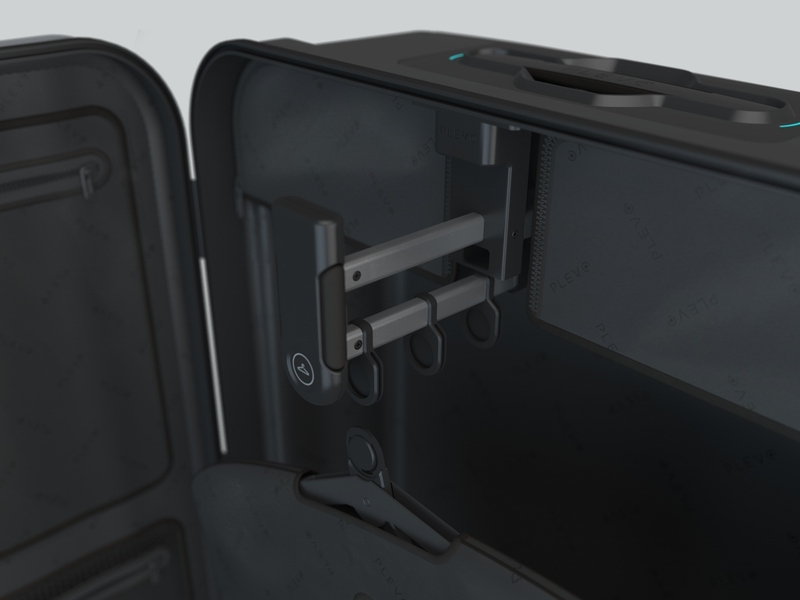 Plevo launched its Kickstarter campaign today for its smart luggage with the world’s first patented garment hanger system and smart dashboard. Plevo is designed to be efficient, durable and technologically advanced - to make travel functional, fashionable and smoother for business or leisure. 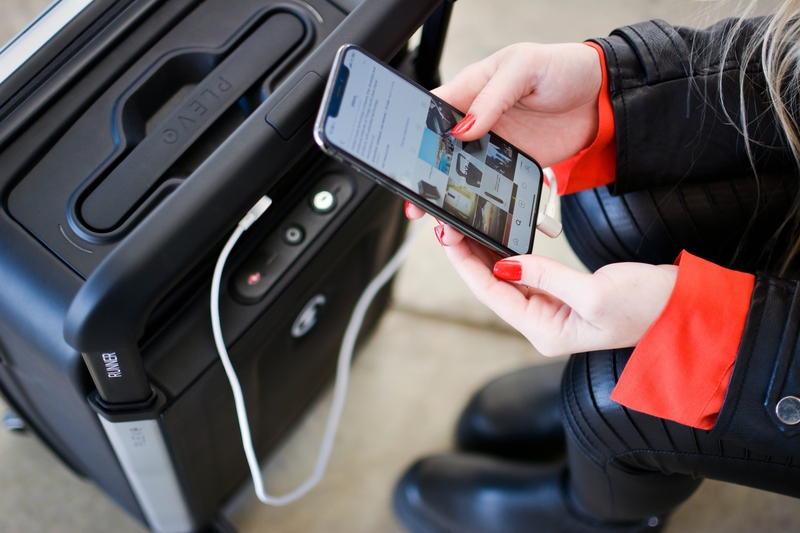 The Plevo suitcase comes in three models – one carry-on and two for checked luggage – and is designed to solve many of the hassles facing modern travelers. The biggest Plevo model is the UP, which contains a patented garment hanger to keep a traveler’s best business wear vertical and wrinkle-free during transport. The UP model is 31.4 inches by 19.7 inches by 11 inches, big enough to bring all the essentials and help busy travelers save time packing and unpacking. It has removable 360-degree wheels. No more fumbling with a garment bag in one hand and a suitcase in the other. The Infinite model is also designed to be checked-in and is a bit smaller than the UP for maximum mobility. This Plevo product is 28.3 inches by 17.9 inches by 11 inches (with an expandable textile option which makes the depth 12.5 inches). The Runner model combines Plevo’s best features with the most portability the company offers. The Runner, at 22 by 13.9 by 9 inches, is small enough to be a carry-on bag. And, again thanks to the removable wheels, it’s even more compatible for overhead storage bins. Travelers face many unknowns with their luggage: including whether their bags will make the weight limit, and where the bags go when the airlines lose them. Plevo is the first suitcase designed to solve both of those problems. Plevo’s GPS location tracking means customers can track their bag no matter where it winds up during transit, and a digital scale lets travelers know in an instant whether their bags will make the weight. Additional tech features include a charging port for gadgets, a removable USB battery pack, a Smart Lock feature (with Face ID, Touch ID or Morse Code), connectivity with Plevo’s Android and iOS app, removable 360-degree wheels and lightweight, durable, water-resistant materials. All three Plevo models comply with TSA, DOT, FAA and IATA (International Air Transport Association) regulations. And every model comes with a 100 percent lifetime guarantee. For more information and to pre-order Plevo at early bird discounts visit Plevo’s Kickstarter.